Hunters & Frankau, the two hundred year old exclusive UK distributors for Habanos, has selected certain cigars for a special ageing process. 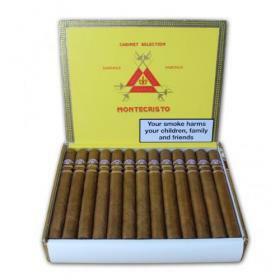 We are delighted to present these cigars to you with the vintage declared on each box and every cigar. 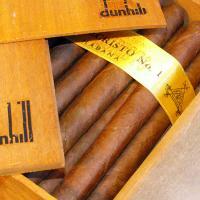 Before releasing any Aged Habanos (1997 & 1998 vintage) they are checked by fully trained Habanos SA Quality technicians. Boxes that receive their approval are stamped 'Revisado' which means 'Checked'. Inside the box you will find a leaflet titled 'Your Guarantee' explaining the benefits of ageing cigars, the origin of the vintage and how the cigars have been stored.